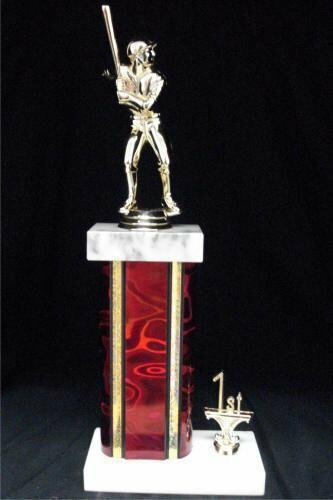 This Trophy includes a Figure of your choice with 5 3/4" Column to match your Team Colors and Year or Trim with 2 Marble Pieces and includes 3 lines of engraving. 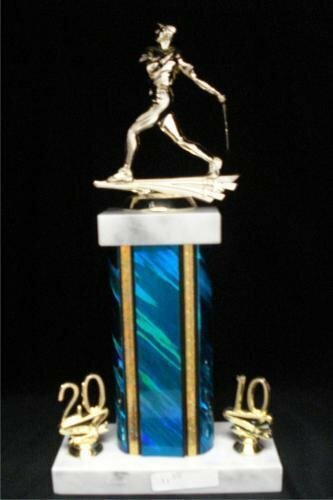 You can engrave the Player's Name, Team Name and the Season with Year. Single Column with Trim - Approx. 13"
Single Column with Trims - Approx. 12 1/4"